Before you tackle your next organizing project, will you plan and strategize? What motivates and inspires you? I have helped 600+ individuals to successfully accomplish their organizing goals with solid plans and strategies. I believe that there is no “right” strategy. As your personality is unique from your friends and relatives, so are your styles to succeed. We cannot compare our stuff with others’, nor can we compare our ways and lives with that of others’. Each project and each individual is unique, and there are so many different strategies to pare down and/or organize your “stuff”. Recently, a new client asked for my help. Sheila (fictitious name, real person) had experience paring down possessions, but this time it was too emotional for her to do alone. Her mom had passed away, and the home needed to be cleared out. Sheila was afraid that she would procrastinate and it would not get accomplished. Her budget was limited, too. Sheila accepted my first recommendation which was to complete a specific task on her own within one week. Sheila completed her assignment successfully. She trusted the idea to work with me virtually to achieve ultimate success, and keep her expenses low. Her next assignment was also completed on time. I estimated the project to complete in six months, this was agreeable to Sheila. With my feedback, advice and encouragement, Sheila was motivated and held accountable for her success. Her organizing/paring down project was completed in 3 months….way ahead of schedule. The strategy, that I recommended to Sheila, worked! Part of our strategy was to start with easy decisions. The easier the decision, then the organizing process flowed. If you start with the hard decisions, one could get stuck. I vote for easy, and small changes over time. Leo Tolstoy, the great author of War and Peace, knew that great success was achieved by taking baby steps. He said, “True life is lived when tiny changes occur.” Taking baby steps give us a chance to experience the changes in our lives. When we give ourselves time to make decisions, (to keep or eliminate our things, relationships and/or relationship(s) with things or people), we have great opportunities for success. The industry of Professional Organizing officially began in 1985 by a handful of bold women. Today, there are thousands of professional organizers in the world, each having a specialty, unique personality, style and philosophy. Marie Kondo, a new popular author of simplifying, emphasizes that if “the thing” does not resonate with you, “it” no longer belongs in your life. That makes for an easier decision to keep or eliminate. Be successful at organizing your space and your life. Make thoughtful decisions to keep or eliminate, and organize the “best way” for you. 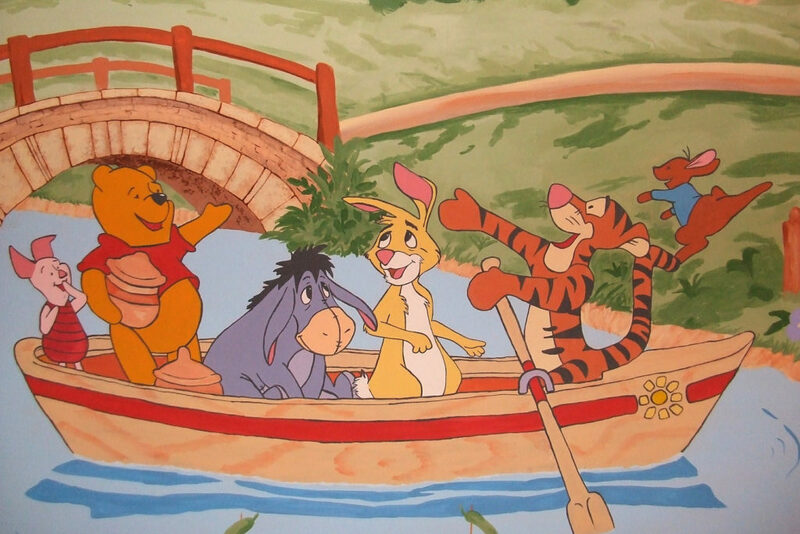 Winnie the Pooh and his friends gave everyone, at every age, a sense of joy, adventure, loyalty and accomplishment. Allow them to be inspiration for your next organizing project. When you think of 25, what comes to your mind? Twenty-five is also 24 + 1 hours in a day, enjoyed once a year at the vernal equinox. And, June 2017 marks the 25th year anniversary of my business, Under Control Organizing. It’s hard to believe that it has been 25 years since I started organizing professionally. In 1992, when I began Under Control Organizing, I knew that I had the ability to assist, teach, motivate, and guide others toward a more organized life. My career tests had demonstrated strength in “organizing”, and I deeply felt that I could successfully share that gift with others. I am honored to have helped almost 700 individuals with their spaces, paper, “stuff” and lives. The spectrum of these organizing projects over the past 25 years is wide. They include simplifying, right-sizing, enhancing productivity, and managing transitions into different phases of life. The relationships that developed from these projects was not predictable, and certainly a bonus. Many requests which began with sadness, frustration, embarrassment and/or shame, ended in elation, hope and pride. 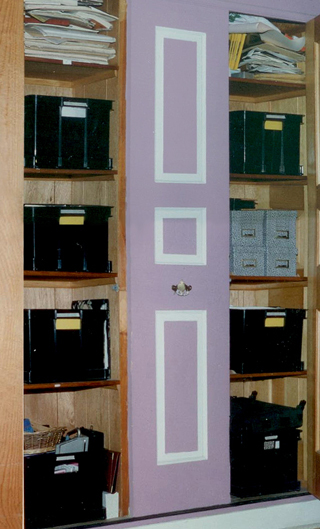 Closets, cabinets, storage rooms, RV homes, (home) offices, kitchens, attics, garages, playrooms, and art studios are some of the spaces that I tackled with my clients. 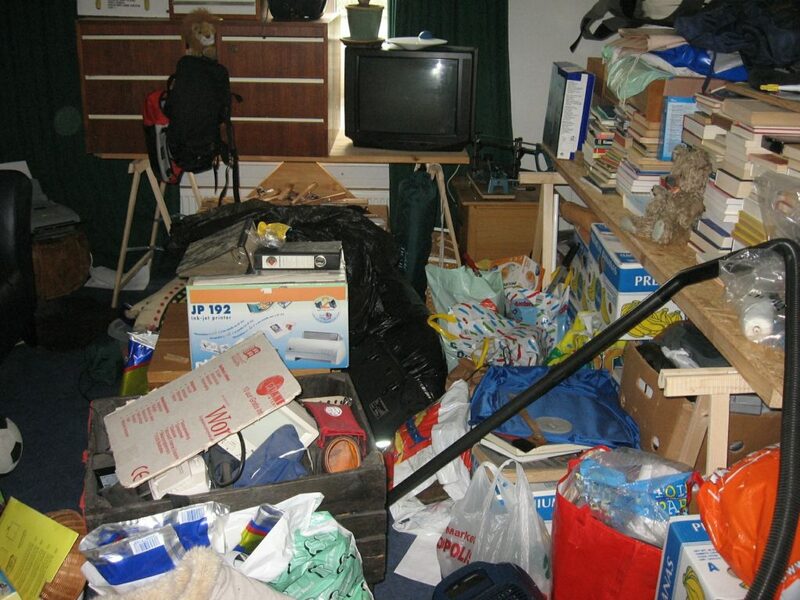 Those spaces held supplies, collections, files, inherited items, minutiae and prized possessions. From arranging furniture for maximum functionality, identifying and sorting “like things together” for easier access, tabulating spreadsheets to keep track of costs, and managing digital files for cloud access, each individual and situation has been unique. I have always said that there is no cookie cutter solution to organizing challenges, and the results of the past 25 years have proved that notion. Send yourself reminders via email, app or electronic calendar. Set up a separate inbox for your reminders, and check it daily. Use a family calendar to track family commitments. Eliminate multiple calendars, or be sure to synchronize. Set up a grab and go area near your exit to remember to bring items with you when you go out. Pay as many bills online as you can. Remember to maintain receipts if they are tax-deductible expenses. Find what you need, when you need it: set up a simple format and naming convention to scan and to file. Please remember to back up. If you don’t keep the paper as back up, save to a hard drive or cloud storage. Reduce stress and anxiety resulting from the overwhelm of feeling buried. Unsubscribe from e-offers and emails that are no longer relevant to you. Clear out your Inbox by creating folders for important senders/categories. No one LIKES to file (except for me). Make it easy on yourself, or set up a simple system, for paper and electronic matter, so that anyone can put your stuff away. Surround yourself in an environment that represents who you are. Start with the EASY decisions. Choose to keep or eliminate. Get to know what you have. Set aside 10-15 minutes a day: with a notebook and pen, walk room to room, closet to closet, drawer to drawer, until your entire home/office is inventoried. Bookmark where you left off each day so that you can pick up where you left off. This may take a month or more overall to complete. The process will force you to eliminate items that you no longer want. For more easy ways to streamline your life, be more productive and to stay organized, contact me. We can quickly brainstorm your unique life situations to transform your life to an organized life. Do you have a closet that looks like this? Or worse? 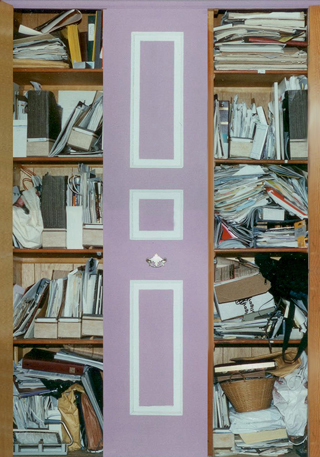 Could you find what you needed in this closet? Scroll down to see the results of a few hours of professional organizing help. E-mail Marcia to get your closets in order. SPRING-TIME ORGANIZING!!!!! It can be a chore, and it can be invigorating. Make time to clear out your closets and mud rooms from the winter necessities. Clean and store all of those winter items such as hats, gloves, scarves, boots, coats, long underwear and sweaters in durable containers. Add some whole cloves (yes, from the kitchen shelves) to ward off moths and bugs. Be sure they are stored in areas that are not prone to high heat and/or high humidity. Make room for all of your spring/summer items that you stored last November. Give all of those items a second look. Will you really wear them this season? Consider donating or consigning your gently used or unused clothing and accessories. It’s a great way to raise some needed cash or a tax deduction for the following year’s filing. Consider your jewelry box as well. If you have jewelry that you longer wear, you may enjoy seeing it worn by a daughter, niece or cousin. Or, trade it in for cash while the price of gold is so high. Spring-time organizing can be a chore, and it can be invigorating.